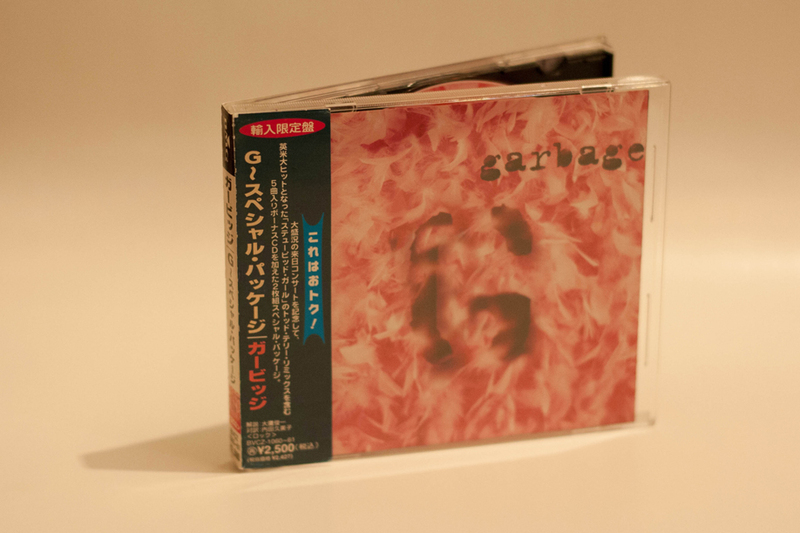 Limited edition CD issued to help promote Garbage’s 1996 tour of Japan. The release itself is exactly the same as the Australian Tour edition, except it has been repackaged with a wrap around OBI strip. The card inlays are also far more glossy than the Australian version. 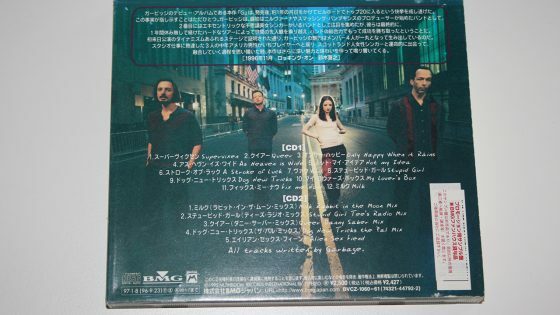 There is also a lyric booklet inside the case, this is in English and Japanese. 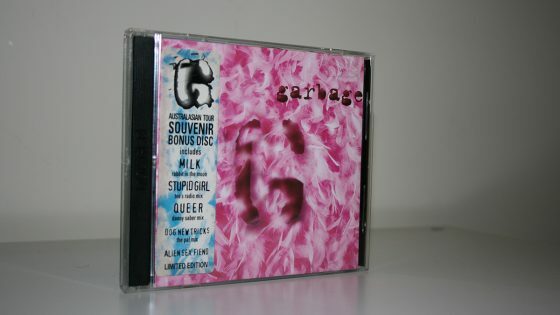 This item first surfaced in January 2005. The release was factory sealed when new. Some copies were issued to the media as promotional copies. These have a white sticker over the barcode with red Japanese text on it. There are at least 2 different versions of this sticker.